In a world where South Korea is a monarchy, North and South Korea decide to compete as one team in the World Officer Championship (WOC). Tricked into joining the team is the little brother of South Korea’s king, Lee Jae Ha (Lee Seung Gi). 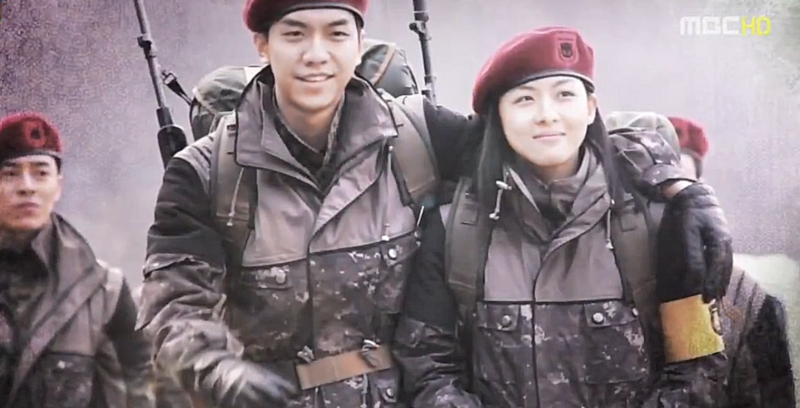 From the North, the team has one woman, Kim Hang Ah (Ha Ji Won), a famous instructor from the North’s special forces. During their joint training the two clash yet learn to live with each other. Suddenly news break out claiming them to be promised to marry each other, can the two find a way to win against all those who oppose them, their differences and win the tournament? Lee Jae Ha is a childish royal who has done nothing with his life. He has never wanted to become king. He joined the army and served his time reluctantly and was then tricked into joining the WOC. He tried to escape and make excuses to escape but failed. After being dragged to training he is nothing but trouble to his team mates. Lee Jae Ha loves women, is self entitled, runs his mouth without thinking of the consequences and loves to find everyone else’s weakness and hold them against them. Behind closed doors he’s glad that his brother is the king and not him. He doesn’t want the hard responsibilities and politics that come with being royalty and suffers because of them. Kim Hang Ah is the daughter of a high diplomat and has made a name for herself in the Korean People’s Army. However her dedication to the Homeland has made her unable to date or get married. She innocent and her dream is to get married. Desperate she agrees to participating in the WOC if the Party finds her a marriage partner. Lee Jae Ha and Kim Hang Ah meet at training but it’s not love at first sight. Lee Jae Ha is arrogant and rude much to Kim Hang Ah’s annoyance. The two end up sharing a room and slowly get closer during training. Love is in the air but their fight is just beginning. Also in the WOC team are (from South Korea) are Eun Shi Kyung (Jo Jung Suk) and Yeom Dong Ha (Kwon Hyun Sang). 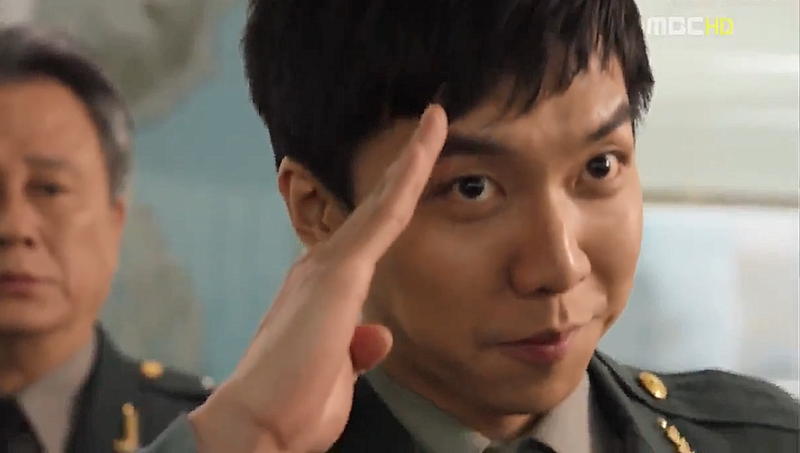 Eun Shi Kyung is a dedicated officer who lives for his work. He is quiet and stoic. He can put up with Lee Jae Ha’s antics and works hard to protect him. 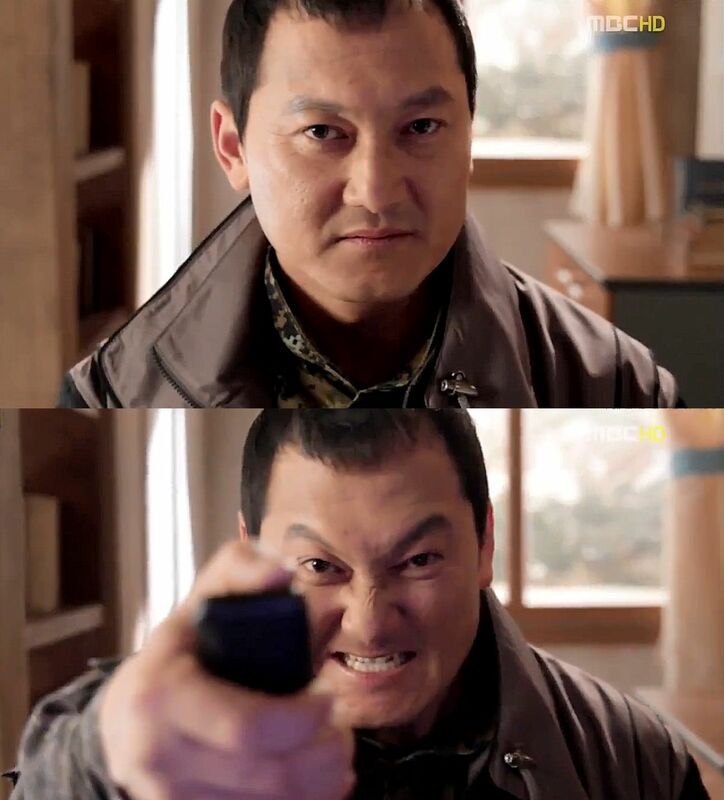 Lee Kang Suk trying to fight himself. From the North joining the team are Lee Kang Suk (Jung Man Shik) and Kwon Yeong Bae (Choi Kwon). Especially Lee Kang Suk is very dedicated to his Homeland and Communism. He can’t stand South Korea’s consumerism but after he sees Girls Generation dancing on TV, he faces a crisis. The mysterious Club M and its leader John Mayer (Yoon Je Moon) are against North and South Korea working together and improving their relationship. They try all they can to ruin the royal family and the fragile peace the two Koreas’ are working towards. The King 2 Hearts has too many good qualities to it to mention them all but one of them is the dialogue the drama gives to the tension and suspicion North and South Koreans have for each other. Everyone is able to put their differences aside but they still remain trigger happy and hasty of trusting the other side. 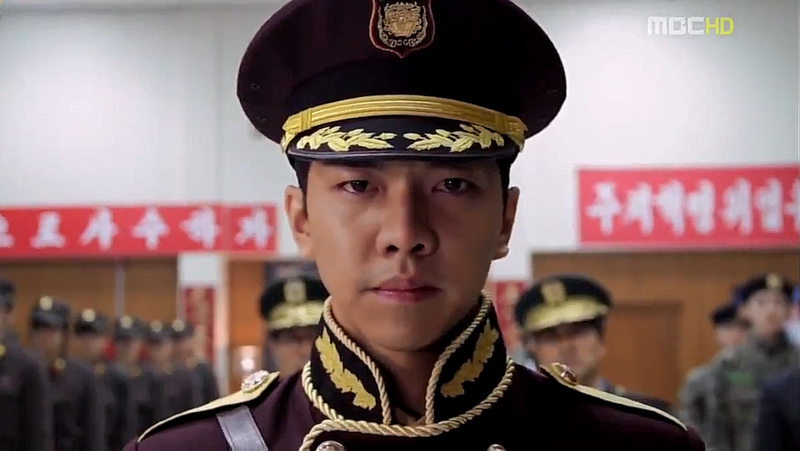 The King 2 Hearts has everything a dedicated drama watcher can possible seek: action, tension, excitement, surprises, banter, bromance and a couple made for each other. I love this drama from its first second to its last: it is worth more than its weight in gold.